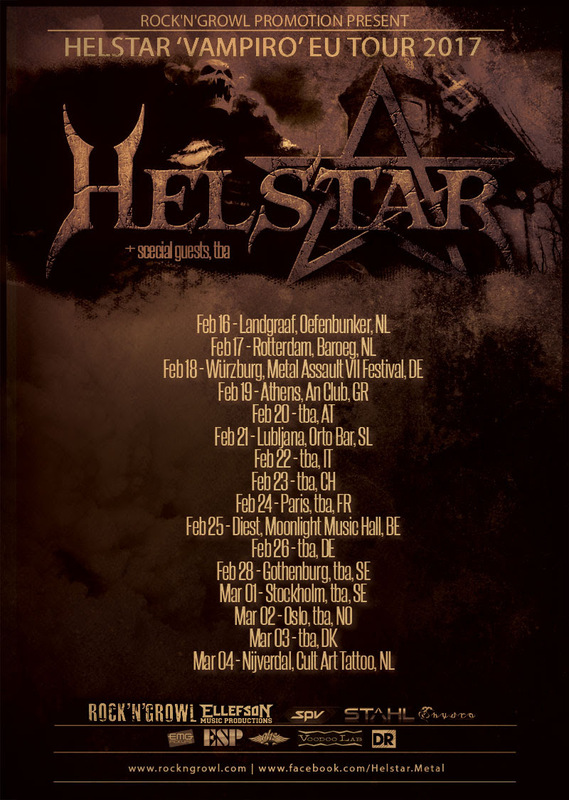 Texas old-school metallers HELSTAR have announced dates for the ‘Vampiro‘ European Tour 2017. The band recently announced to tour USA this November/December with Flotsam and Jetsam and Hatchet. HELSTAR released their new album ‘Vampiro‘ on August 26 via David Ellefson‘s EMP Label Group. The special guests for the dates to be announced soon.